Bob O’Billovich started his football career with the University of Montana, where he is a member of their Hall of Fame. Once he was done playing football with the University of Montana, O’Billovich played five seasons with the Ottawa Rough Riders from 1963 – 1967. During that time he was an Eastern divison All-Star in 1965 and a Grey Cup participant in 1966. Once O’Billovich retired as a player, he became an Assistant Coach for the Ottawa Rough Riders from 1976 – 1981. 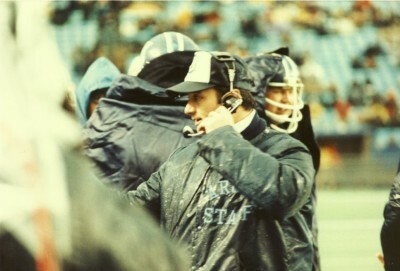 Bob’s first head coaching position was with the Toronto Argonauts where he stayed for eight seasons from 1982 – 1989 and won his only Grey Cup in 1983. After Toronto, O’Billovich decided to go to Vancouver and be the Head Coach/General Manager of the BC Lions from 1990 – 1992. After he was done with the BC Lions, he decided to return to Toronto to become the Head Coach/General Manager from 1993 – 1995. After Toronto, O’Billovich bumped around the CFL until he landed the General Manager position with the Hamilton Tiger-Cats in 2008. In total, Bob O’Billovich garnered 107 wins as a head coach.